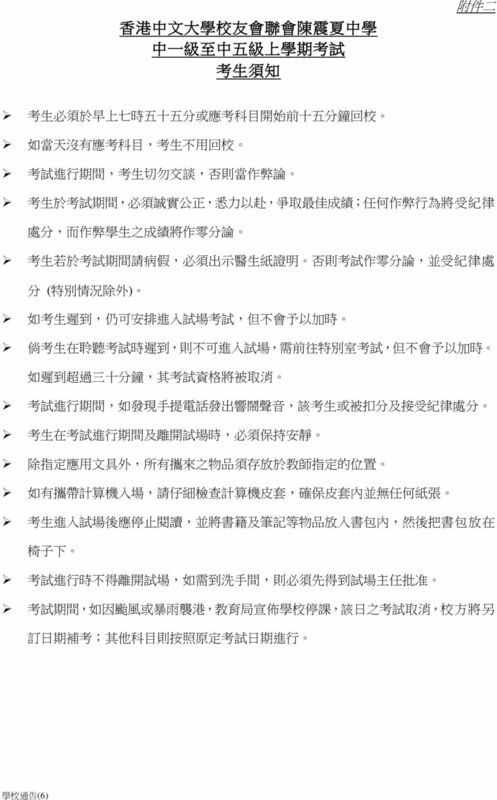 15 180 words) Listening 3. 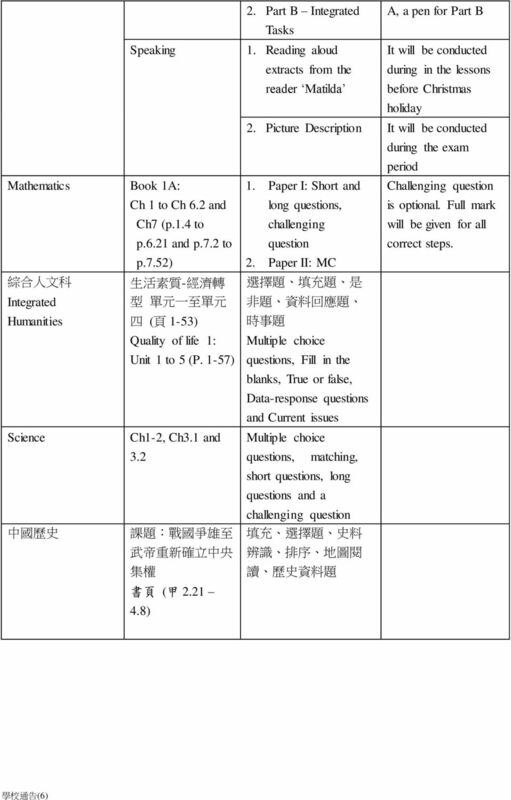 Part A Short Tasks 1. 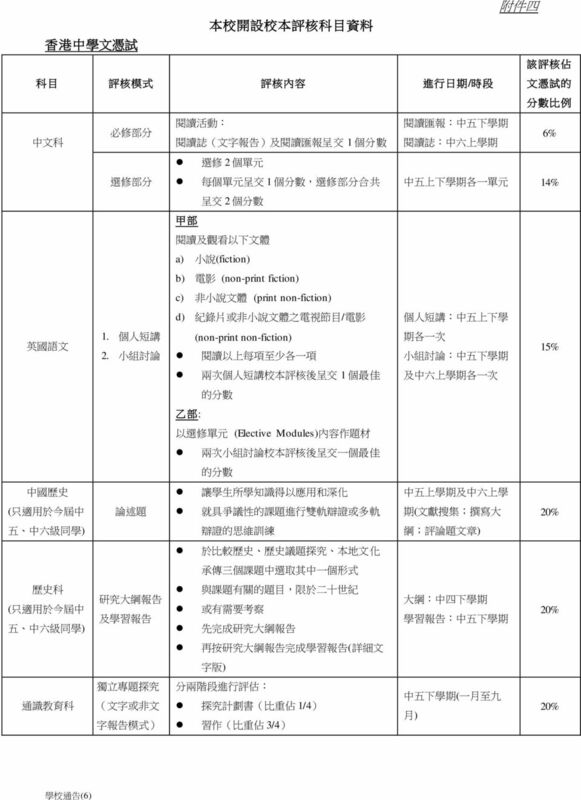 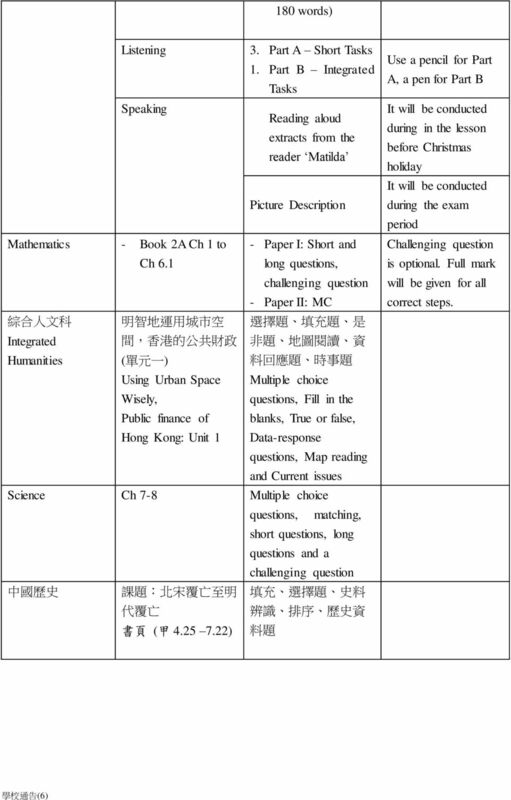 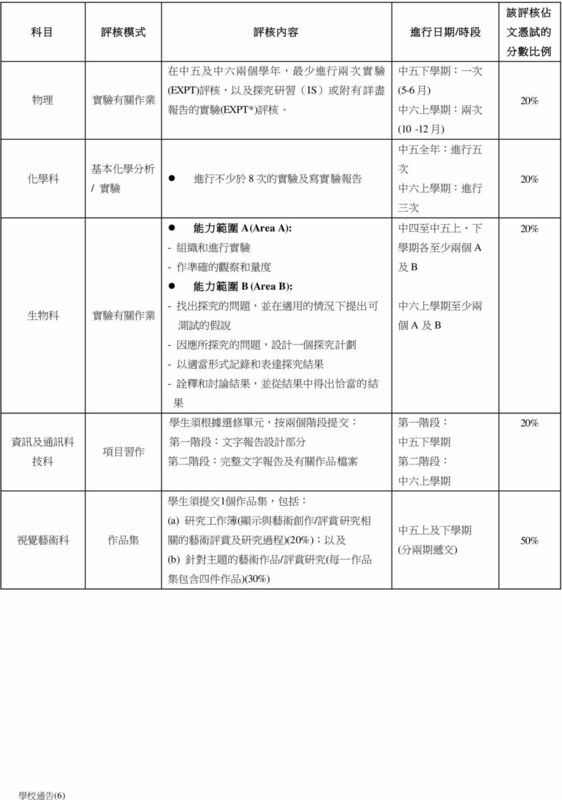 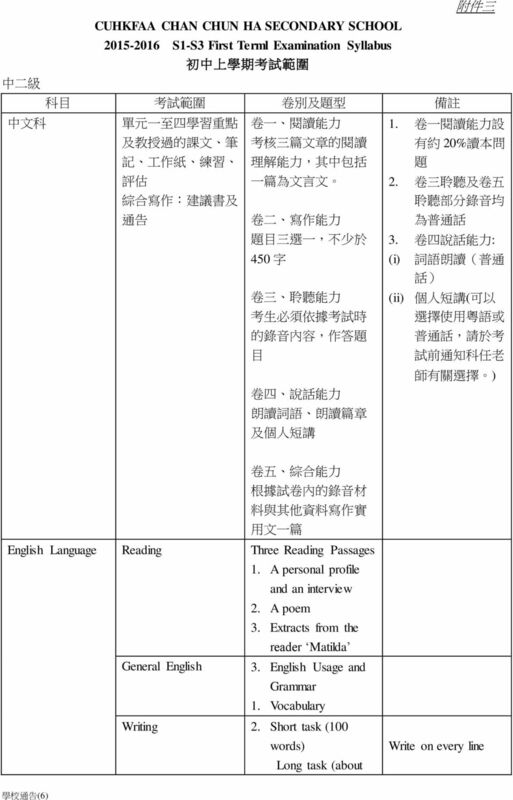 Part B Integrated Tasks Speaking Reading aloud extracts from the reader Matilda Picture Description Mathematics - Book 2A Ch 1 to - Paper I: Short and Ch 6.1 long questions, challenging question - Paper II: MC 綜 合 人 文 科 明 智 地 運 用 城 市 空 選 擇 題 填 充 題 是 Integrated 間, 香 港 的 公 共 財 政 非 題 地 圖 閱 讀 資 Humanities ( 單 元 一 ) 料 回 應 題 時 事 題 Using Urban Space Multiple choice Wisely, questions, Fill in the Public finance of blanks, True or false, Hong Kong: Unit 1 Data-response questions, Map reading and Current issues Science Ch 7-8 Multiple choice questions, matching, short questions, long questions and a challenging question 中 國 歷 史 課 題 : 北 宋 覆 亡 至 明 代 覆 亡 書 頁 ( 甲 ) 填 充 選 擇 題 史 料 辨 識 排 序 歷 史 資 料 題 Use a pencil for Part A, a pen for Part B It will be conducted during in the lesson before Christmas holiday It will be conducted during the exam period Challenging question is optional. 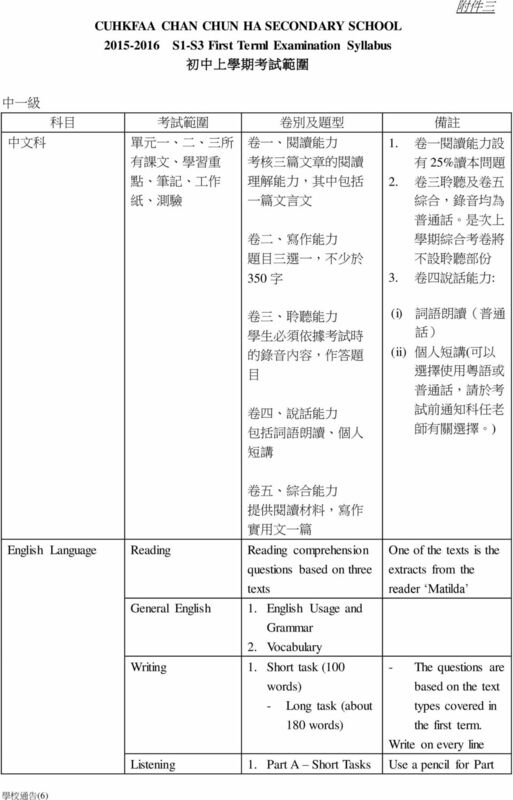 Full mark will be given for all correct steps. 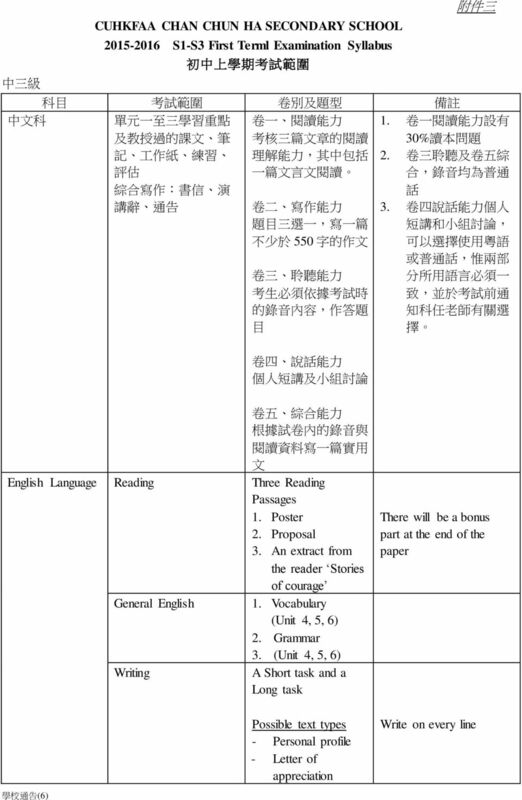 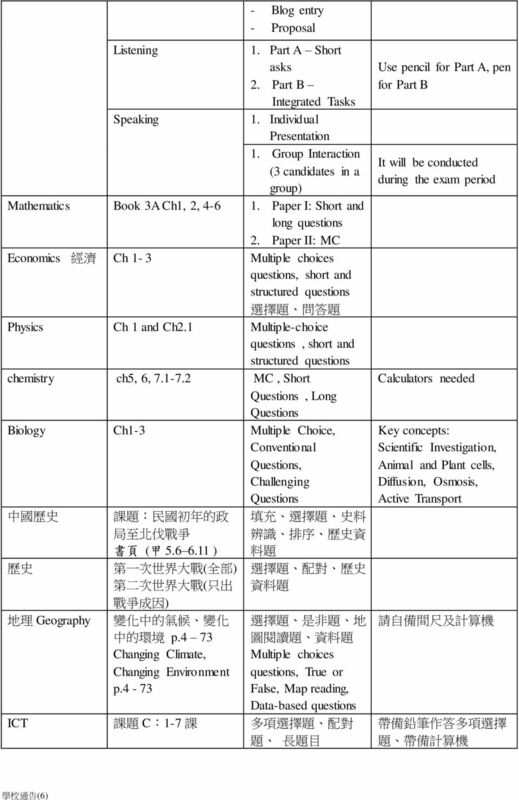 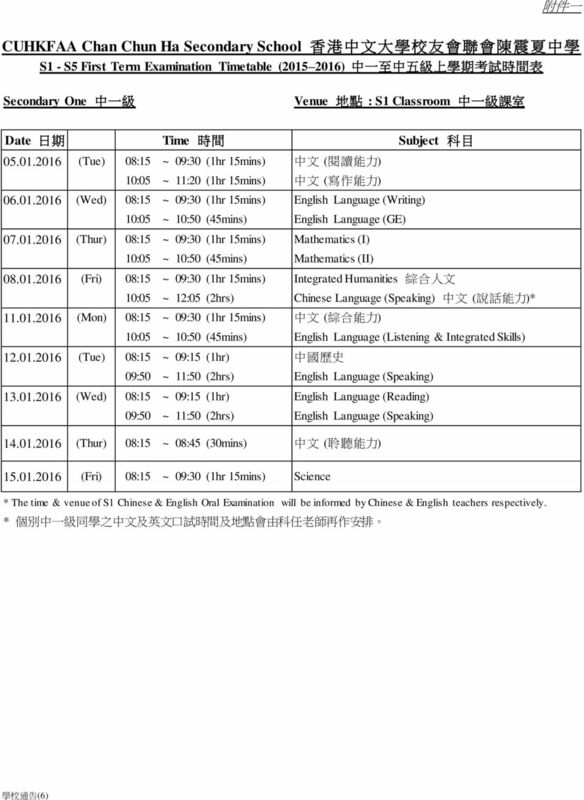 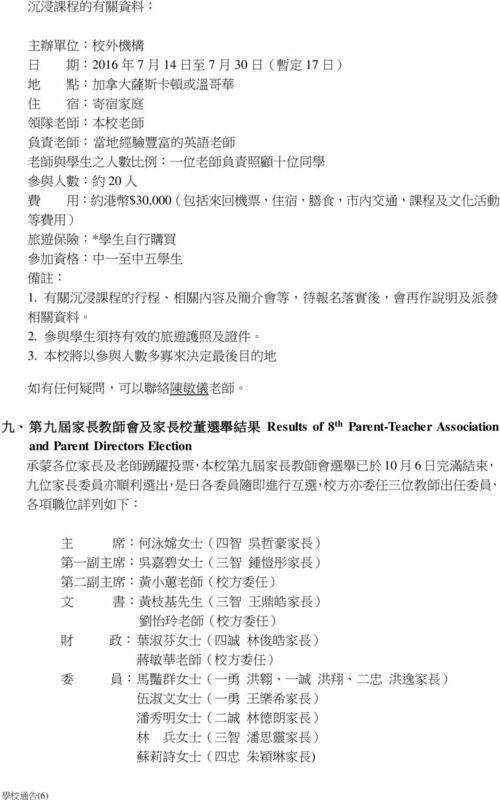 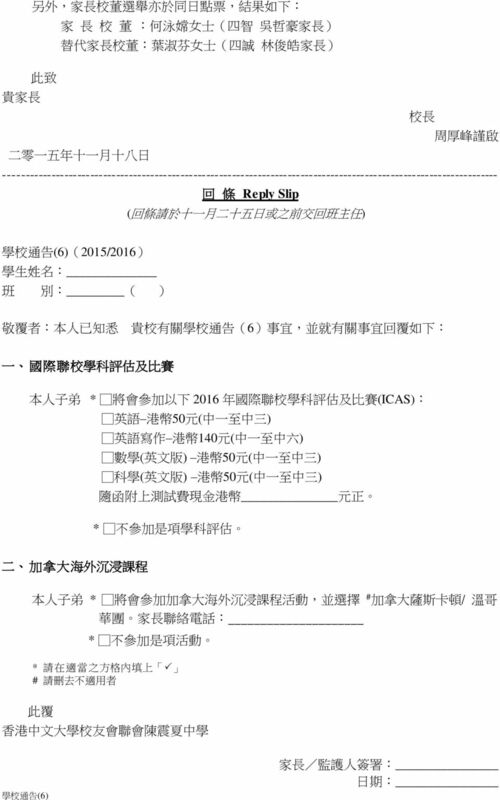 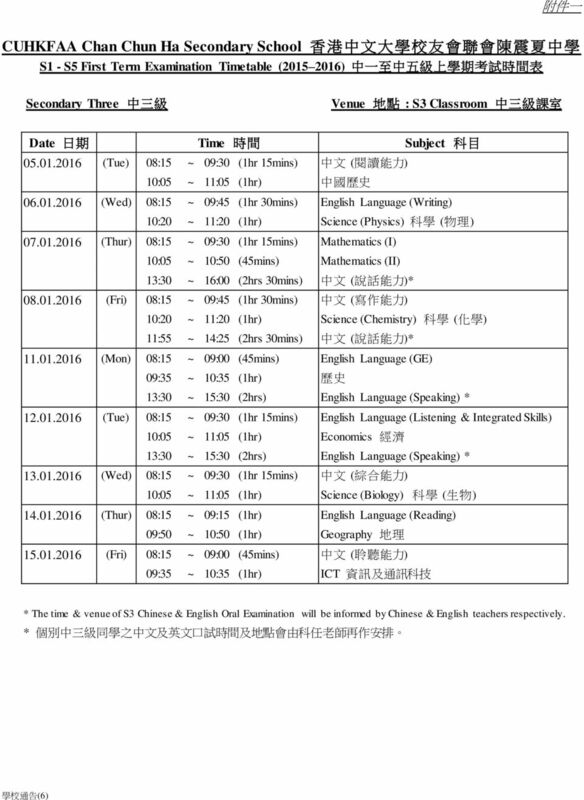 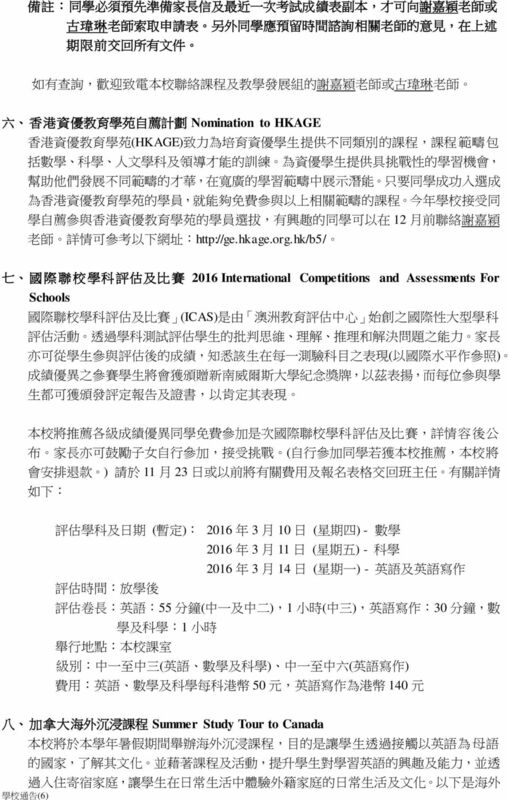 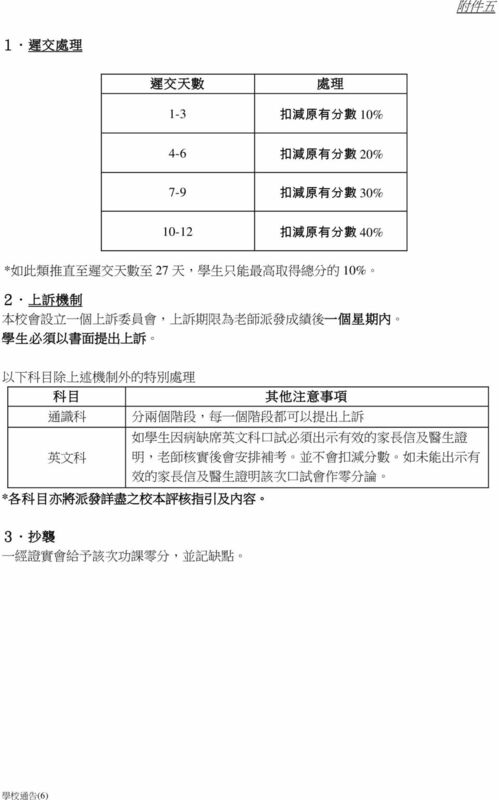 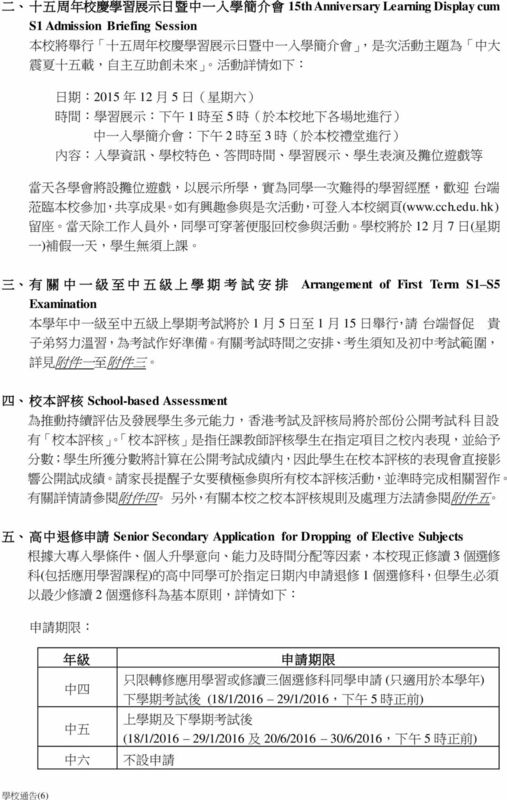 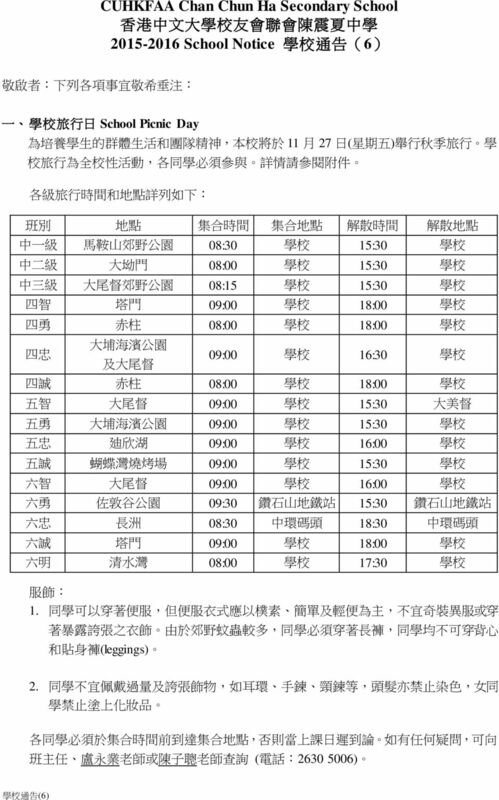 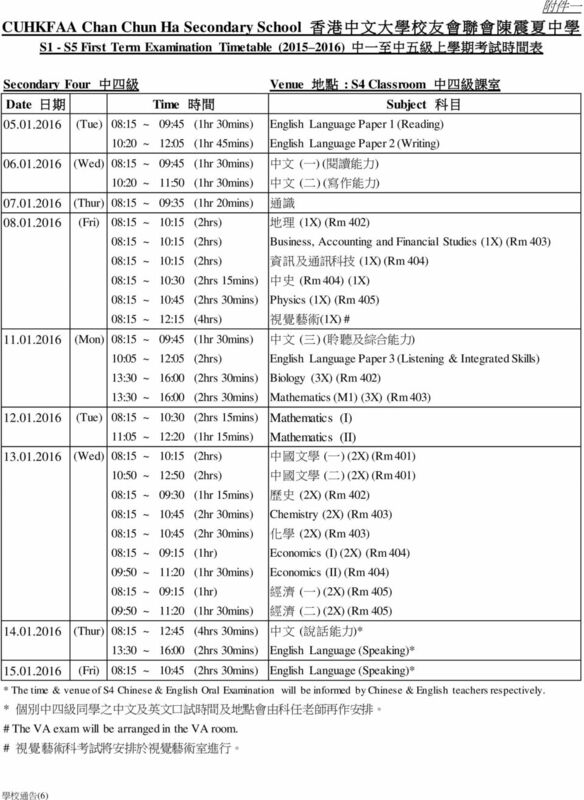 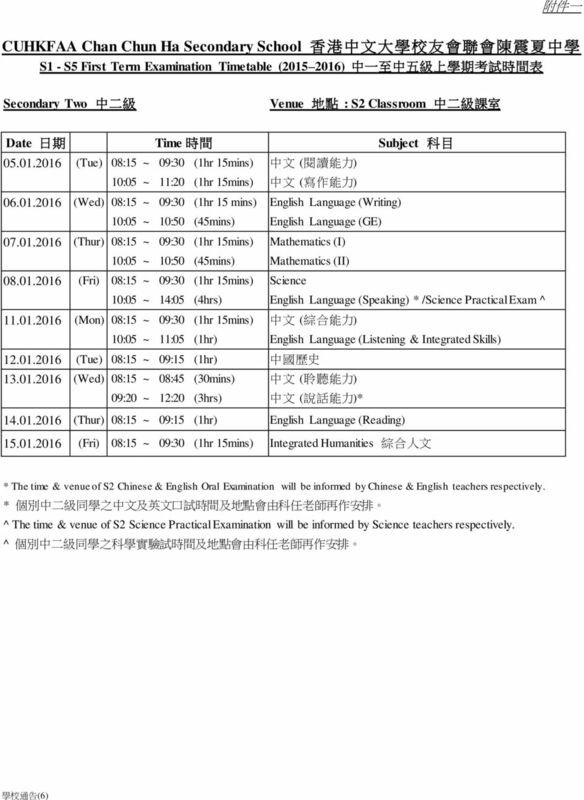 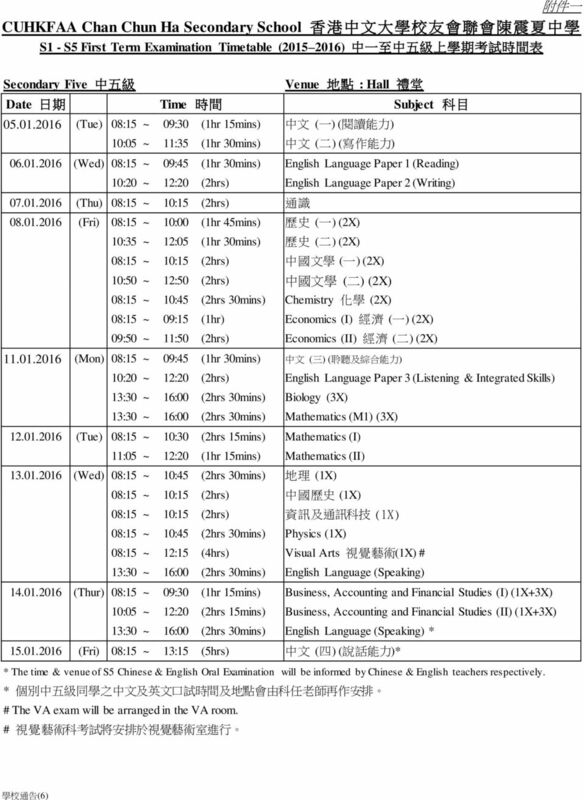 香 港 中 文 大 學 校 友 會 聯 會 張 煊 昌 中 學 CUHK FAA THOAMS CHEUNG SECONDARY SCHOOL 高 中 選 科 手 冊 HANDBOOK FOR THE SENIOR SECONDARY CURRICULUM 2015-2016 升 學 及 就 業 輔 導 組 Careers Guidance Committee 2016 目 錄 Contents 1.